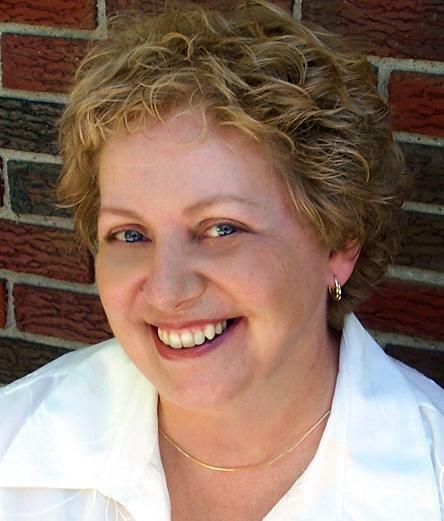 We’re very happy to have Karen Dionne as our guest author today. She’s the founder of Backspace, an Internet-based writers organization with over 850 members in a dozen countries, and Freezing Point is her first novel. When it comes to thrillers, readers are often drawn toward fiction that mirrors their real-world concerns. During the Cold War, spy thrillers were popular. Now that environmental concerns have gained the ascendency, we’re seeing a surge of thrillers in that genre. All thrillers play on people’s fears, but environmental thrillers pit man against nature in the classic struggle with a twist: Man’s interference with the natural world is often the source of the problem. That deep irony at the story’s core is what makes eco-thrillers so compelling. Bad things are happening, nature is turning on the characters – but the characters have brought the situation about themselves. My environmental thriller FREEZING POINT features a concerned environmentalist who thinks he can alleviate the world’s desperate need for pure, fresh water by melting Antarctic icebergs into drinking water. Instead, his lack of understanding of the polar environment, coupled with corporate greed, creates an even bigger problem that ultimately threatens the entire planet. One of the perks of writing a novel like FREEZING POINT is that I get to consult with experts in various scientific fields and learn about the subjects that fascinate me. But a consequence of researching an environmental thriller is that the more you learn, the more you realize a situation of which you were previously aware only peripherally, is actually far worse than you imagined. The world’s water crisis is truly scary. According to Blue Gold: The Fight to Stop the Corporate Theft of the World’s Water, by Maude Barlow and Tony Clarke, the Ogallala Aquifer is being depleted fourteen times faster than nature can replenish it. Silicon Valley has more water-polluting EPA Superfund sites than anywhere in the U.S. Thirty percent of the groundwater under Phoenix is contaminated, and the Colorado River is so oversubscribed that by the time it passes though the seven states tapping into it, there’s almost nothing left to go out to sea. Uneven distribution, pollution, abuse of the aquifer – the list goes on and on. These and other environmental problems desperately need solving. The earth is our home. If the environment turns on us, there’s no safe place. It’s hard to think of a situation more genuinely frightening. However, I didn’t write FREEZING POINT to shine a light on a problem – we have Al Gore and others for that. My novel isn’t a treatise on the world’s water crisis or global warming – it’s a story, meant to entertain. If readers come away with an increased awareness of the real-world situation, that’s great. But if they finish thinking they’ve just read a terrific book, that’s even better. Because in environmental thrillers, when nature bites, it’s the story that bites back. ← Deb Eve rains on the doggy parade! Good morning, Karen! How wonderful to see you here! FP is a perfect gift for my husband. Good luck with sales! Thanks for being our guest, Karen! Your thriller sounds really scary… A perfect Halloween gift! I’m on a flying visit because I’m supposed to be painting a ceiling. Nice to ‘see’ you here. Congratulations on FREEZING POINT. This is an exciting time and I hope you’re enjoying every minute of it … and I hope you’re busy at work on that next novel. I remember reading (and loving) an excerpt from the beginning and it was brilliant. Can’t wait to read the whole thing. Hi, everybody! I’m really happy to be here. Aren’t the Debs are great for giving me the opportunity to talk about my novel? 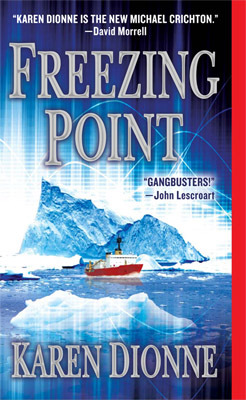 And yes, a lot of the early feedback for FREEZING POINT has been about how scary the book’s topic is because it hits so close to home. I guess considering it’s a thriller, scaring people is a good thing! What an interesting new genre. Best of luck to you! I think it’s great that you were able to write a book that not only entertains but also gets people thinking about an important issue. Kudos to you and may your book do well! I know what you mean about the research opening your eyes… For my next project, I did some reading that is truly the stuff of nightmares! Ah, the fun life of a writer. Thanks for guesting with us, Karen! Karen, I’m late but wanted to say hello and thanks for coming to The ball! Your book is on my tbr pile (near the top!) for when I finish editing my new book and I will also be giving it as a Christmas gift. hi Karen! Sorry I’m so late but I was out of town all weekend with no internet (horrors! almost like having no water! well, not really…). Thanks for visiting the Ball and we are so excited for your enormous success with your thriller! I know that this message will come to you as a surprise. I am the Auditing and Accounting section manager with Eko Bank,Ouagadougou GHANA. I Hope that you will not expose or betray this trust and confident that I am about to repose on you for the mutual benefit of our both families. the nearest person to our deceased customer late Mr.George Small who died along with his supposed next of kin in an air crash since 31stOctober 1999. I don’t want the money to go into government treasury as abandoned fund. So this is the reason why I am contacting you so that the bank can release the money to you as the next of kin to the deceased customer.. Please I would like you to keep this proposal as a top secret and delete it if you are not interested.